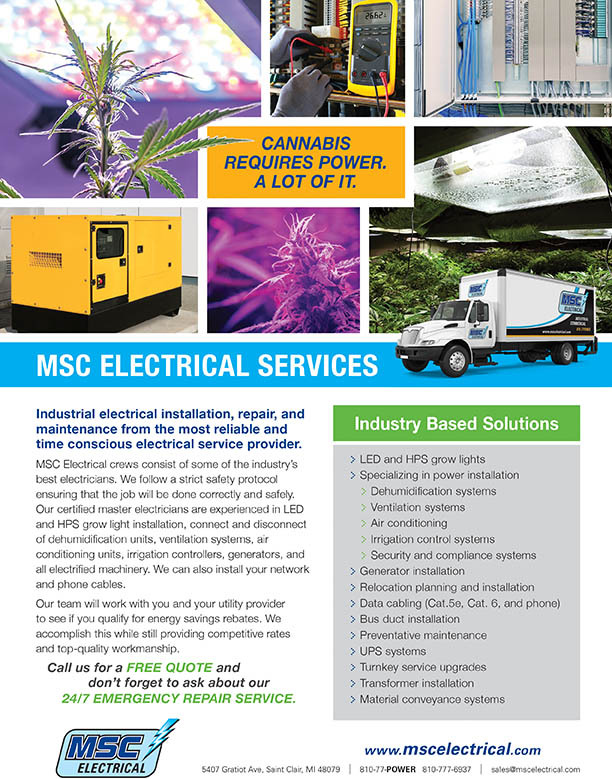 Our certified master electricians are experienced in LED and HPS grow light installation, connect and disconnect of dehumidification units, ventilation systems, air conditioning units, irrigation controllers, generators, and all electrified machinery. We can also install your network, phone cables, and More. We can be your one-stop-shop! 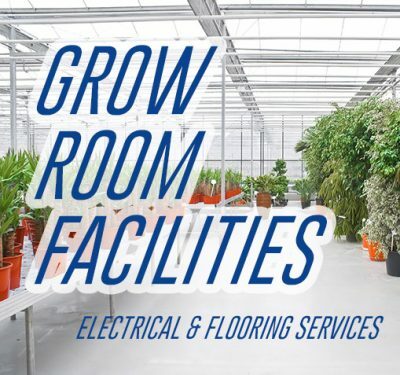 Our flooring division specializes in anti-microbial floor coating options for your grow facility.